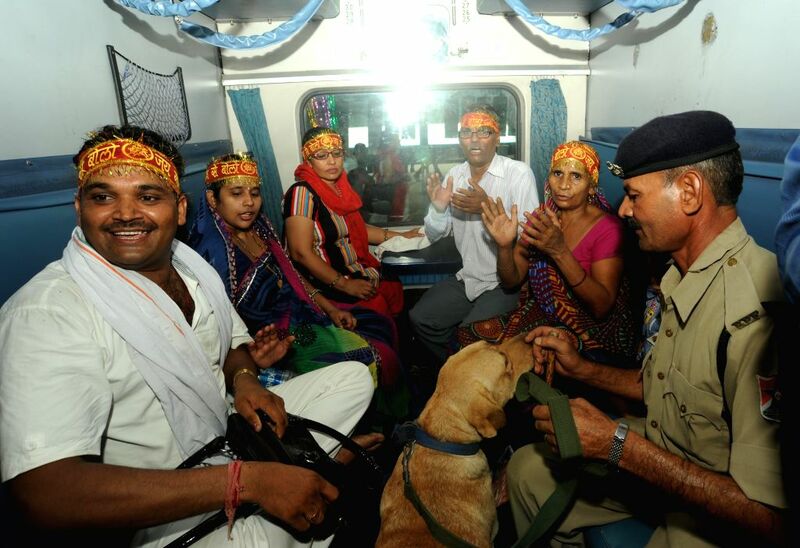 Passengers en-route to Mata Vaishno Devi Shrine aboard Shri Shakti Express which left for Mata Vaishno Devi railway station (Katra) on July 14, 2014. The train will reach its destination at 5.10 am tomorrow. 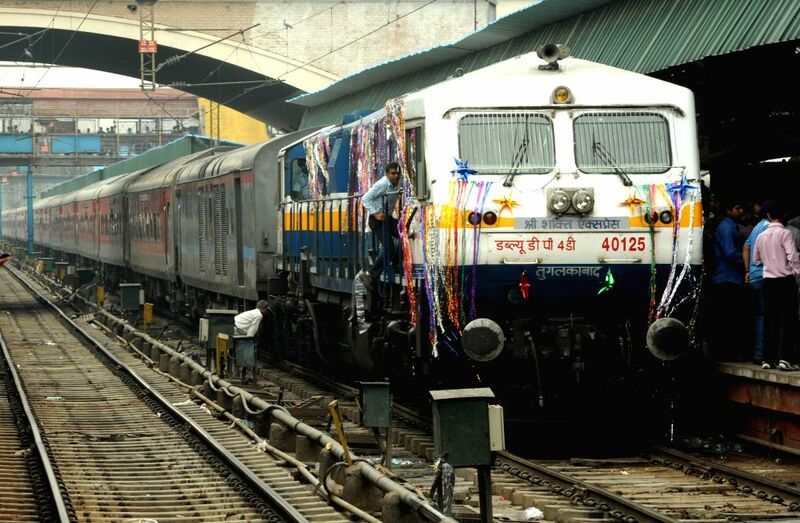 Shri Shakti Express chugs out of New Delhi railway station with devotees headed to Mata Vaishno Devi Shrine on July 14, 2014. The train will reach Mata Vaishno Devi railway station (Katra) at 5.10 am tomorrow.